111 pages | 25 B/W Illus. First published in 1935, this book was intended to provide westerners with a more definite and comprehensive understanding of Chinese Art and its achievements. Newly available opportunities to study authentic examples, such as the Royal Academy exhibition that provided the impetus for this volume, allowed for greater opportunities to conduct in-depth examination than had previously been possible. 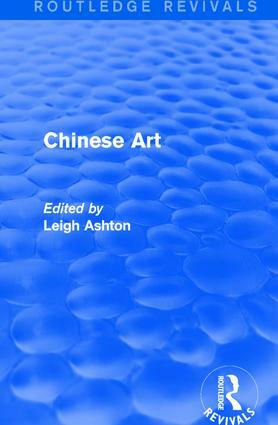 Following an introduction giving an overview of Chinese art and its history in the west, six chapters cover painting and calligraphy, sculpture and lacquer, ‘the potter’s art’, bronzes and cloisonné enamel, jades, and textiles — supplemented by a chronology of Chinese epochs, a selected bibliography and 25 images.